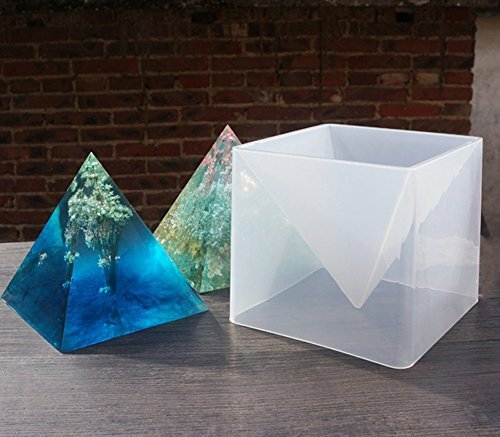 Big DIY Pyramid Resin Mold Set, Large Silicone Pyramid Molds, Jewelry Making Craft Mould Tool, 15cm/5.9"
Be careful to place the silicone mold insert into the plastic shell accurately, Make sure all sides are flush. Pour alcohol into the outer shell make it easy.It is recommended to use "mold release". GUARANTEE: It may be damaged during transportation. If you receive a broken mold, please contact us directly and we will resend it for you. We Offer 100% No Risk Money-Back Guarantee If You'Re Not Thrilled With Your Purchase For Any Reason. Be careful to place the silicone mold insert into the plastic shell accurately, Make sure all sides are flush. Pour alcohol into the outer shell make it easy.It is recommended to use "mold release"
If you have any questions about this product by VTurboWay, contact us by completing and submitting the form below. If you are looking for a specif part number, please include it with your message.